Sharon V. Rose Hopkins, 83, Twelve Mile, passed away at 8:35 a.m. on Monday, July 2, 2018, at Chase Center, Logansport. Born January 2, 1935, in Cass County, Indiana, she was the daughter of the late Jesse Bowman Rose and Veneda Marie Robertson Rose. She was first married to Willis Grable, and he preceded her in death on December 12, 1958. On April 10, 1960, at the Twelve Mile EUB Church, she was married to Daniel Marion Hopkins, Jr., and he survives. Sharon was an active member of the Metea Baptist Church, for much of her life. She loved to sing and was part of the Notables and Fulton County Choral Club. 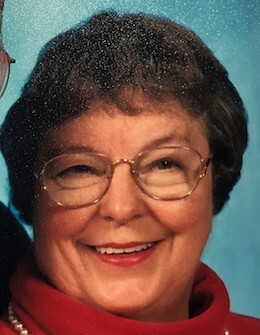 For many years she was active as a member of the Cass County Home Economics Club, Gideon’s Auxiliary, and several Euchre clubs. In addition to her husband, Daniel Marion Hopkins, Jr., Twelve Mile; she is survived by three children, Karen (Mike) Skinner, Denver, Iowa; Kerry (Carmen) Hopkins, Twelve Mile; and Karmen Byers, Twelve Mile; thirteen grandchildren; thirty great-grandchildren; and one sister, Sheila Navarro, Maryland. She was preceded in death by brothers, Carl Alfred and Robert Lynn Rose; and sisters, Martha Joan McDonald, Beverly Maggart, and Sandra Pereyra; and one son-in-law, Dannie Joe Byers. Funeral services will be held at 10:00 a.m. Monday, July 9, 2018, at McClain Funeral Home, Denver, Indiana, with Pastor Mark Foreman and Pastor Tyler Murphy officiating. Burial will follow in Metea Cemetery, Cass County. Visitation will be from 4-8:00 p.m. on Sunday, July 8, 2018, at the funeral home. The family would like to thank Fresenius Kidney Care, Chase Center, and Guardian Angel Hospice for their care of Sharon. Memorial contributions may be made to Metea Baptist Church or the Gideon’s.